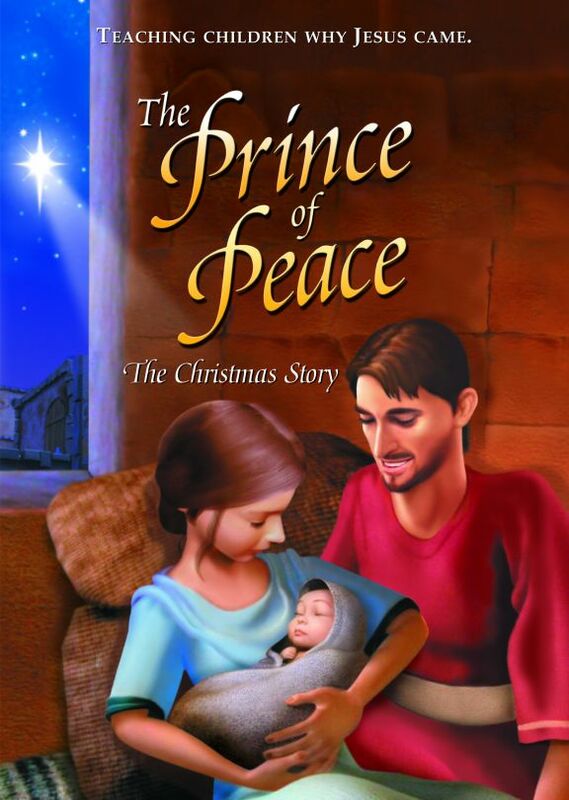 Relive the Christmas story in this fascinating 3D animation spectacular. 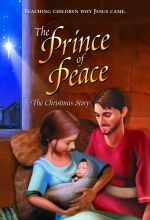 See the story unfold as Mary and Joseph are visited by angels while Herod plots to erase any competition to his throne. The birth of baby Jesus in that Bethlehem stable changed the world, and to this very day, men, women and children kneel to worship the One who is called the Prince of Peace. Recommended for children ages 3 to 10. Fullscreen. This impressive 3-D computer-animated short film, produced by CRC TV in 2003, tells the story of Christ's birth. After Mary and Joseph are visited by angels to announce that the former has been chosen by God to deliver the Messiah into the world, the couple eventually travel to Bethlehem, and finding that there is no room at the inn, wind up in a stable, where the baby Jesus is born. Shepherds follow a star to the manger, wise men bring gifts, and all celebrate the arrival of the Savior. That's the good news. Here's the bad news: vile King Herrod hears rumors about a new king in his city and commands his soldiers to kill every baby boy two years old and under. With the faint screams of the townspeople in the background, Mary, Joseph, and Jesus sneak out of Bethlehem towards Egypt, with the hope of returning someday to a world full of believers. 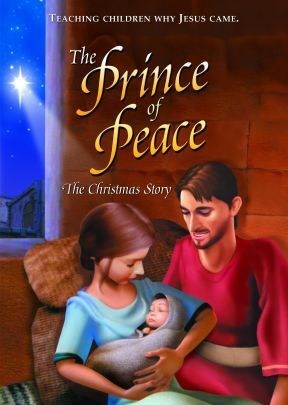 Though the story has some pretty disturbing stuff for young ones, The Prince of Peace will help spark discussion between parents and children about the true meaning of Christmas. Recommended. Beautiful computer animation with a 3-D look coupled with expert voice-over acting tell the Bible story of the nativity. The animated characters look like Middle-Eastern people and the costumes, buildings, and backgrounds faithfully recreate the period. While the narration and dialogue are not always word for word from Biblical texts, the story faithfully conveys the Scripture story and its meaning. The tale begins with the Romans tax and census decree and covers the angelic visitations to Mary and Joseph, the journey to Bethlehem, the housing in the stable, the shepherd and Magi visits, Herod's plot to murder all two-year-old and younger males; and the angelic warning to Joseph. The story ends with Joseph and Mary sneaking out of town to head for Egypt, while Roman soldiers are all around. This lovely production will greatly enhance public library Christmas video collections. This is the best Christian Christmas story I've seen! It tells the real story and doesn't gloss over like most fluff stories! My girls love this video and have learned so much from it! They go to bed talking about how bad King Herod is!